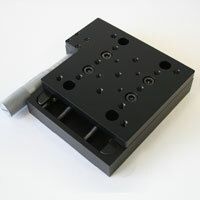 Ealing linear stages offer enhanced performance guaranteed by high quality standards and very good handling stability. 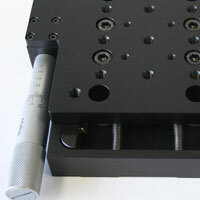 The new series of Ealing linear stages are perfectly matching laboratory standards as well as OEM quality requirements. 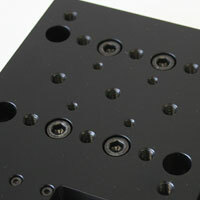 A stable body with new and updated movement technology results in a smooth functionality. Special tempered and polished steel used in the slide technology and 18 solid chrome steel balls on every side together provide excellent travel behaviour. 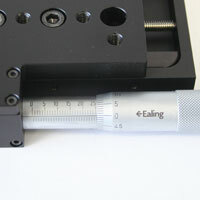 Furthermore the added high accuracy micrometer ensures high precision adjustment: 0,5mm thread pitch with no lateral movement once adjusted. 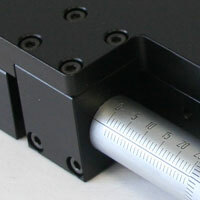 No need of locking nuts to be installed at the micrometer. 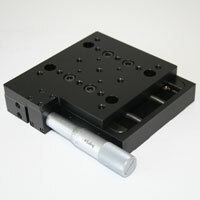 Ealing stages can be end-driven or side-driven depending on user´s requirements or laboratory set ups. All stages can be used with linear actuator motors e.g. in combination with Ealing USB motor controller. * Customization is possible even at a low quantity level*.